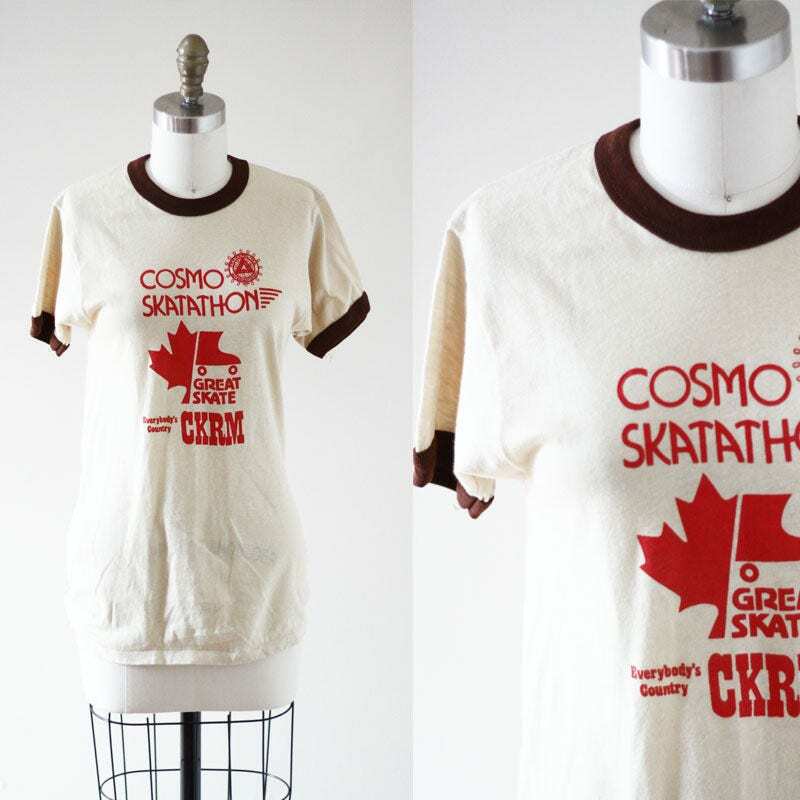 Late 1970s light tan Cosmo Skat-A-Thon CKRM radio t-shirt. 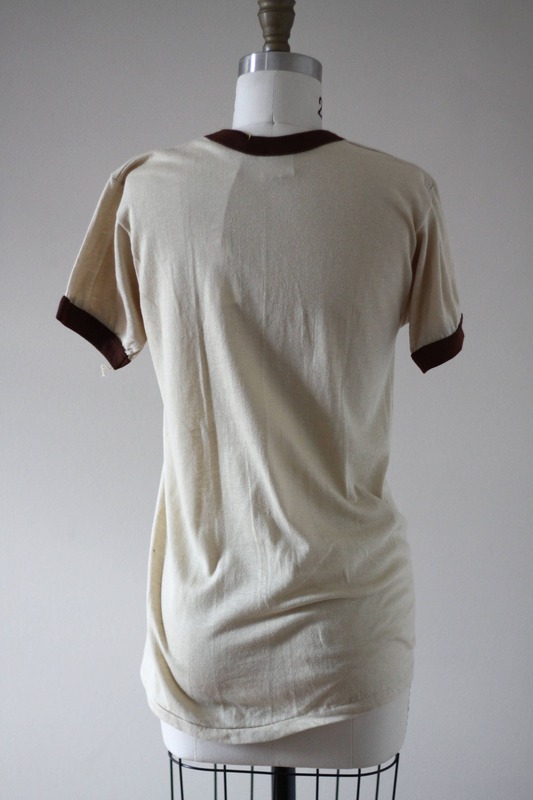 Dark brown bands around the neckline and sleeve cuffs. 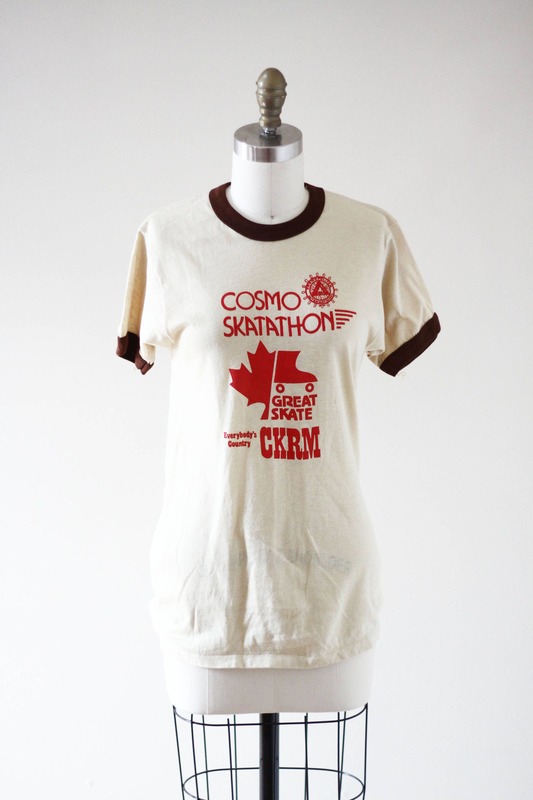 Red screen print in excellent condition. 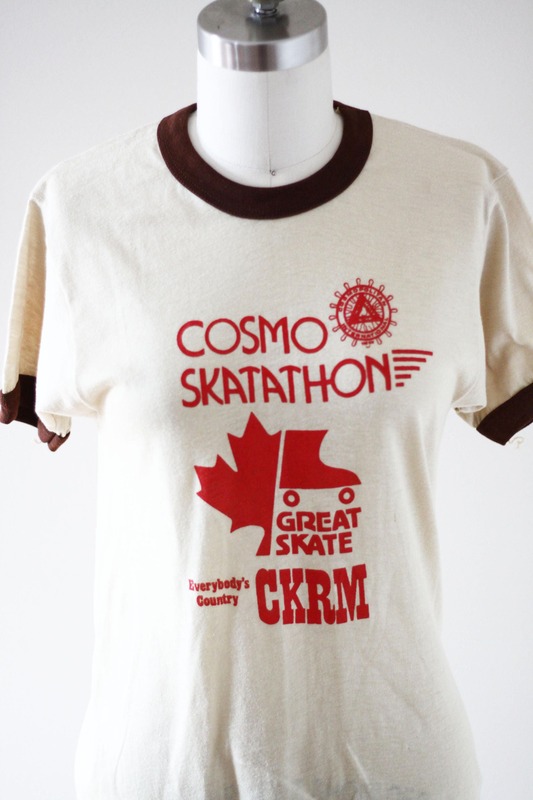 I believe this shirt is a dead stock promo item.